Tragedy must not overshadow the goals; ensuring that the Flotilla's cargo reaches its final destination, to bring an end to the illegal siege and embargo on Gaza, and to bring to justice the perpetrators of unnecessary crimes against humanity. 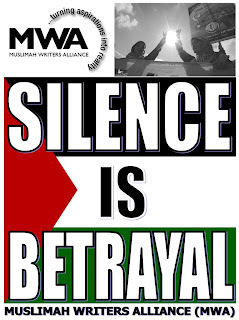 PR Log (Press Release) – May 31, 2010 – WASHINGTON, D.C. (MWA) — Muslimah Writers Alliance (MWA) joins Jewish Voice for Peace (JVP) and the chorus of global outrage in response to the early morning attack launched by Israeli forces on the Gaza Freedom Flotilla, while sailing in international waters, resulting in the tragic deaths of reportedly 20 civilians and injuries to 50 or more. 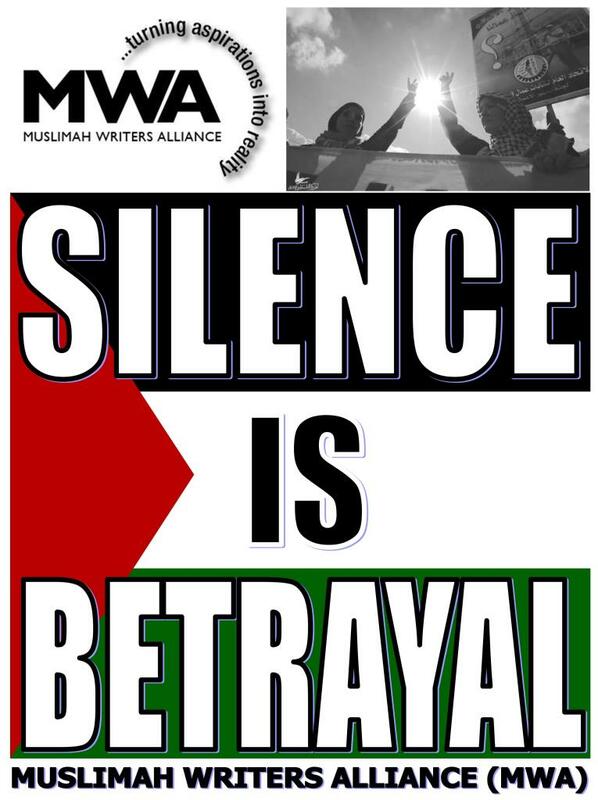 "This is yet another deadly escalation of the repression of nonviolent protests against the ongoing occupation of the Palestinian territory and embargo on Gaza—funded by American tax-dollars," stated MWA Director, Aishah Schwartz. The White House has stated, through yet another spokesperson, that it, "deeply regrets the loss of life and injuries sustained [by civilians], and is currently working to understand the circumstances surrounding this tragedy." This kind of administrative rhetoric is, once again, NOT ENOUGH! "This past December when I embarked upon the quest to break the siege of Gaza myself, I was told by a leader and activist in my own community, that attempting to enter Gaza was a 'waste of time' – words that left me in outright tears as the bus I was on moved forward over the Rafah border crossing on December 30, 2009. "God facilitated my journey, and that of 85 other delegates–despite a lack of support and dissent, and we are collectively proof today that when God stands with us; none can stand against us—and rest assured, no wrong ever goes unpunished. The Israeli government's day of reckoning may not be by our hand, or may not even been seen in our lifetimes – but that does not mean we should give up the fight or stop standing firm for justice. Ever," Schwartz stated. Concluding Schwartz added, "I am deeply saddened and extend my sincerest condolences to the families of those who have lost loved ones or whose family members have been injured, but it is incumbent upon each and every one of us to ensure that this tragedy is not forgotten; and that these lives were not lost in vain. We must maximize EVERY SINGLE OPPORTUNITY to further support the cause—to ensure that the 10,000 tons of humanitarian relief reaches its final destination, to bring an end to the illegal siege and embargo on Gaza, and to bring to justice the perpetrators of unnecessary and illegal crimes against humanity." CALL the U.S. Consulate in Jerusalem and DEMAND that the U.S. Government take immediate action to safeguard innocent lives! Contact the Israeli Embassy nearest you and let them know how you feel! CALL White House Chief of Staff Rahm Emanuel and DEMAND that the Obama Administration hold the Israeli government accountable for the deaths and injuries of Gaza Freedom Flotilla civilians passengers and crew members! Let President Obama and Congress know unconditional aid and support of Israel must end; and the embargo on Gaza must be lifted. Send a letter to President Obama asking him to withhold U.S. aid to Israel until it agrees to abide by international law, including lifting of the blockade on Gaza. Deliver your letter via fax to (202) 456-2461. Alternatively, and respectfully, you can also voice your concerns by calling (202) 451-1111. Contact your U.S. Representatives and let them know you are counting on them to stand up for justice. Find your Representative at http://writerep.house.gov/writerep/welcome.shtml. Jazakallahu khairan to Sheila Musaji - my hero!